These days, it’s almost as difficult deciding what game to play as it is deciding what to watch on Netflix. The gaming industry has grown exponentially over the past decade, and with services like Steam and the Playstation Store, video games, both mainstream and indie, have never been more accessible. But since there’s so much to choose from, often a lot of fantastic games don’t get the spotlight they deserve. So today, we’re taking a look at some of these awesome titles with our list of the top 10 games that deserve your attention! The Forest is a first-person open world-survival video game developed by Canadian company Endnight Games for Microsoft Windows. The game takes place on a heavily forested peninsula apparently in British Columbia, Canada where the player character and a young child are the survivors of a plane crash. The game features nonlinear gameplay, with no set missions or quests, empowering the player to make their own decisions for survival. Early reviews for the pre-alpha version were highly positive. The game was first released in early access in May 2014, with the final version released in April 2018. No Man’s Sky is an action-adventure survival game developed and published by the indie studio Hello Games. It was released worldwide for PlayStation 4 and Microsoft Windows in August 2016, and for Xbox One in July 2018. The game is built around four pillars: exploration, survival, combat, and trading. 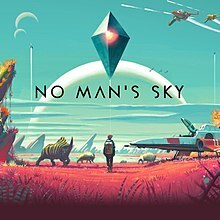 Players are free to perform within the entirety of a procedurally generated deterministic open universe, which includes over 18 quintillion planets. 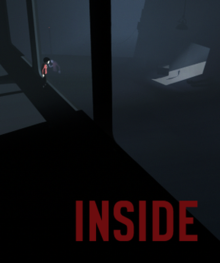 Inside (stylized as INSIDE) is a puzzle-platformer adventure game developed and published by Playdead in 2016 for PlayStation 4, Xbox One and Microsoft Windows. The game was released for iOS in December 2017. The player controls a boy in a dystopic world, solving environmental puzzles and avoiding death. It is the spiritual successor to Playdead’s 2010 game Limbo, and features similar 2.5D gameplay. The Witness is a 3D puzzle video game developed and published by Thekla, Inc. It was released for Microsoft Windows and PlayStation 4 in January 2016, with later versions released for the Xbox One, Nvidia Shield, macOS, and iOS. Inspired by Myst, the game involves the exploration of an open world island filled with natural and man-made structures. The player progresses by solving puzzles, which are based on interactions with grids presented on panels around the island or paths hidden within the environment.